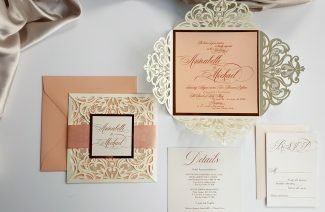 Wedding planning is so much more than deciding on the theme and color of your wedding décor. Among numerous other things, food is one aspect that you certainly cannot ignore. 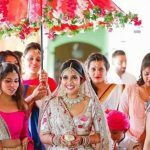 In addition to feeding your guests with scrumptious delights, wedding food these days have become a part of décor as well. 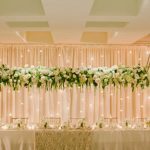 If you are looking for distinctive ideas that can totally transform your wedding décor, then think about having a dessert table. 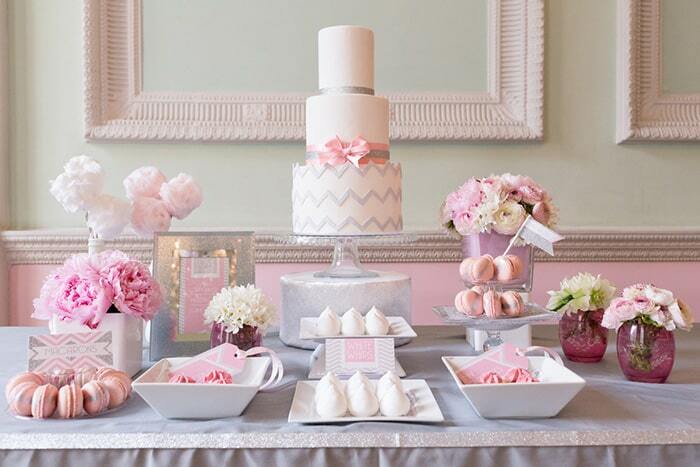 With a dessert table, you can play around and create a beautiful display for your guests. 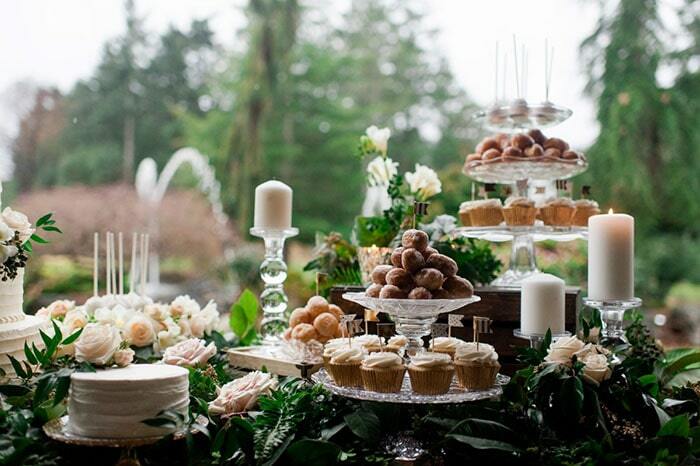 The ideas are limitless when it comes to a dessert table. 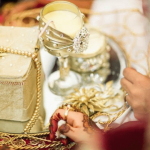 Your beautifully looking delights served in elegant dishes will effortlessly become a highlight of the evening. 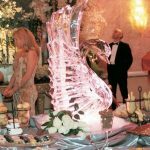 Here we have some really amazing dessert table ideas that you can follow for setting up your wedding dessert table. 1. 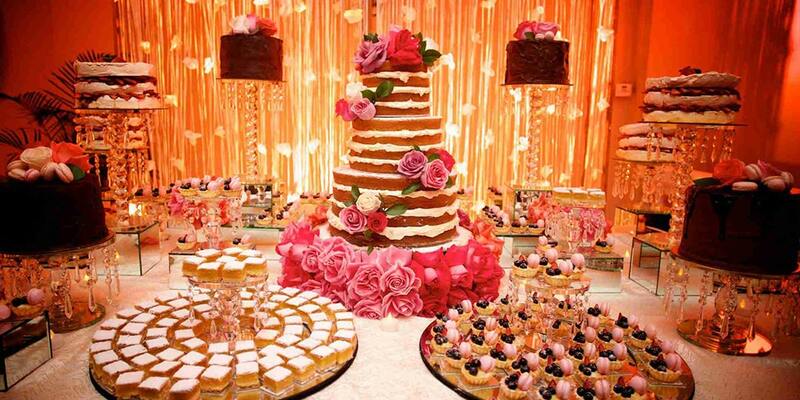 By following the minimalist approach, you can set up a beautiful table with the mouth-watering desserts. 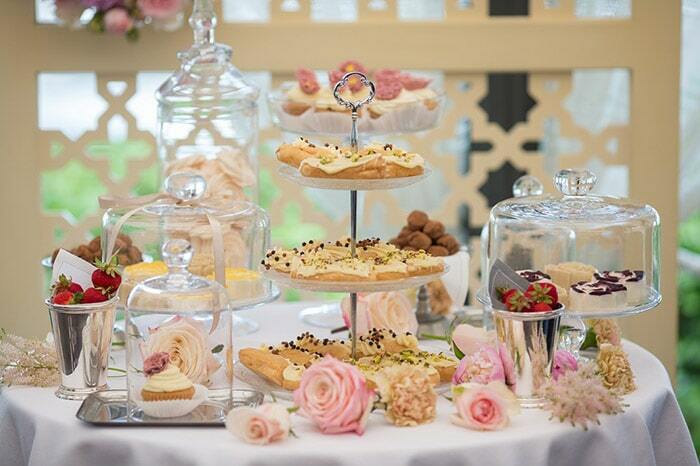 Put some vases with flowers and let your desserts be the highlight of the evening. 2. 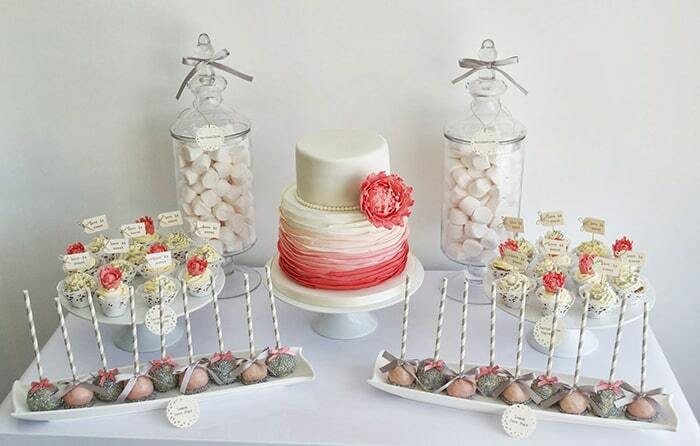 3-tiered dessert tray and cake platter with glass dome are perfect for bringing the sugary vibes to your wedding. 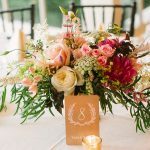 Spread out some pink roses to complete the overall look of the table. 3. If you have a color theme for your wedding, keeping the same colors for your dessert table will enhance the overall vibe. You can also put a jar filled with marshmallows for your guests. 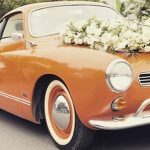 Choose the color scheme same as of your entire décor. 4. 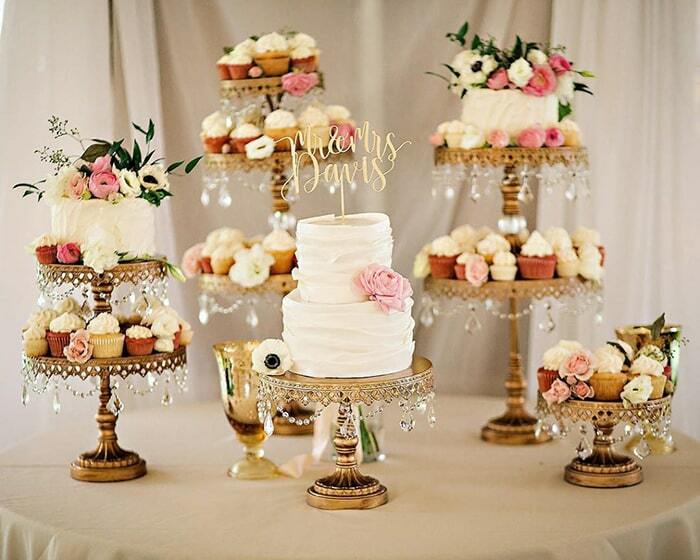 This elegant dessert table décor is one of our favorites. Pick up these beautiful and sparkly dishes and load them up with cupcakes. 5. 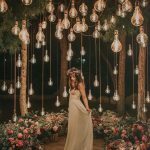 If you are having an outdoor wedding affair, then greenery is your best friend. Put a lot of bushes on the table to create a whimsical and spectacular display. 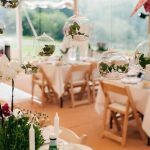 You can also bring the vibes of outdoors into your indoor ceremony just by using botanical décor elements for your dessert table. 6. 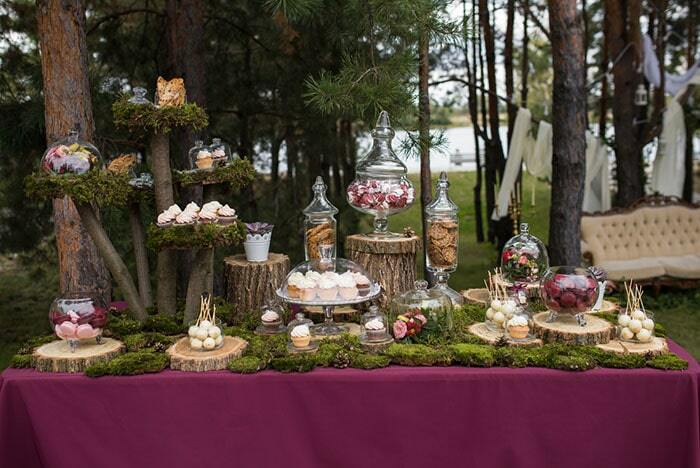 We are in love with the idea of rustic décor and dessert tables that match. 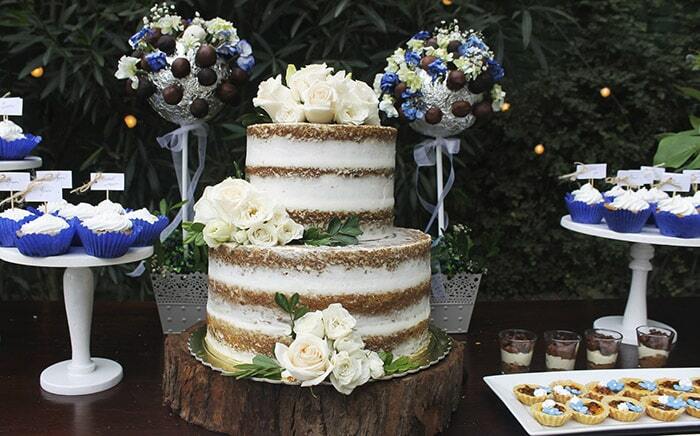 Naked cake with the blue color scheme looks straight from a dream wedding. 7. Golden cakes are our all-time favorite. We believe that golden cakes lend a classic and elegant vibe to the dessert table that you won’t need any other décor element to enhance their beauty. 8. 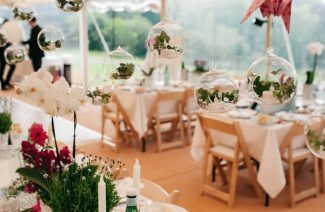 For your rustic wedding celebrations, perfect purple tablecloth, glass dishes and jars and a touch of greenery are all you need. The wood log will gain attention if you put desserts on it. 9. 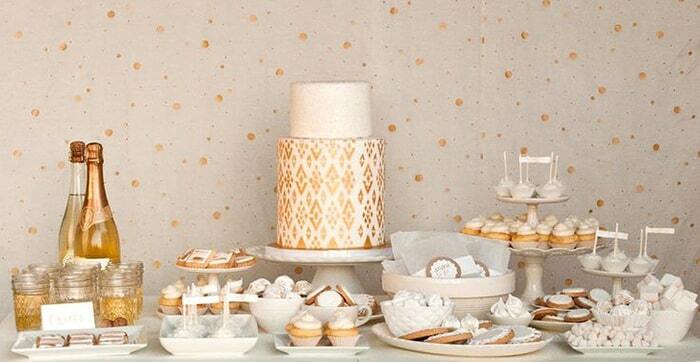 This peach and the cream dessert table tempting enough to make your guests go gaga. The white cake stand goes perfectly with the entire arrangement. Put the beautifully partnered table cloth and deck it up with desserts. 10. 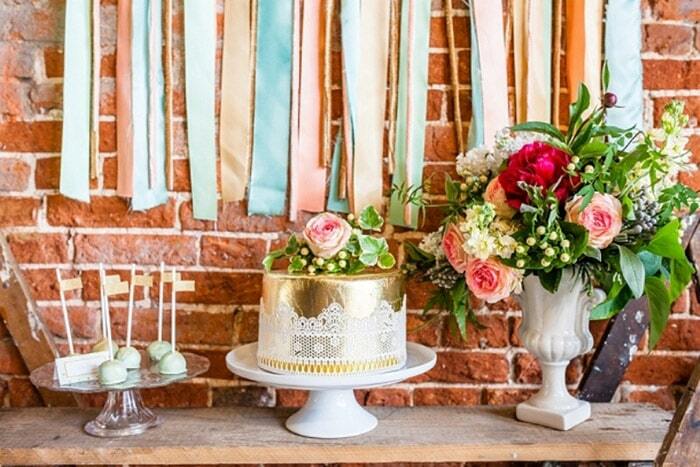 This bohemian style dessert table is perfect for your low-key celebrations. 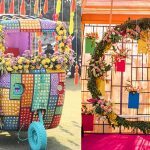 The amazing thing about this décor is you can use many DIY ideas for its décor. Make it more colorful by following different inspirations. 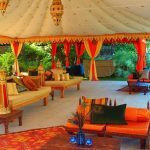 These western style dessert table inspirations are here for all those brides who are looking for new décor ideas for their wedding celebrations. 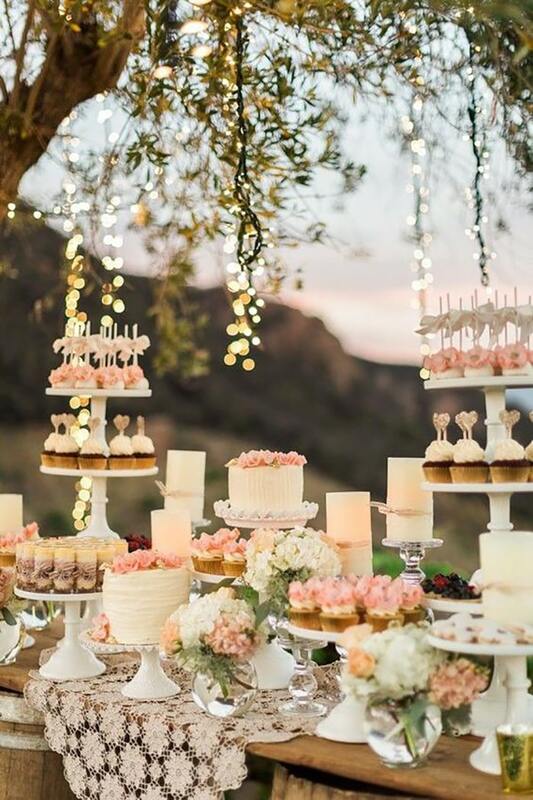 A dessert table will be an incredible addition to your wedding décor. Pick the one that you like the most.